How to Recover Deleted Text Messages on Android? How to recovery deleted files on Mac Computer? How to Recover Lost Partition On External Hard Drive? Summary:Have you ever met such a case that you lost important data on your removable media devices,But you dont know how to get it back.Here we recommend you to trya best filerecoverysoftwareforremovablemedia deviceswhich named Bitwar Data Recovery. Summary:Are you troubling by the device is not ready error when you want to access data in your newly connected hard drive？Have you figured out causes and solutions? Find all the right answers in our article! Summary:Have you ever faced the Xbox one green screen of death issue before or you are now having the Xbox one stuck on Loading green screen? Here’s the tutorial to lead you how to fix this issue and then guide you a file recovery on Xbox one. Summary:Effective solutions are listed in this article to help you fix "system cannot find the file specified" error, If you are faced with it, never hesitate to check out this solutions here to solve the problem. Summary:Today we have a customer who sent the email to ask for help on fixing Microsoft World has stopped working error. And both of you will find out how to fix this error step-by-step. Summary: Today we will guide you 7 fastest solutions to fix the last USB device malfunctioned and Windows does not recognize it error happened on the computer while you were trying to connect the USB device. When you are trying to connect the USB device with the computer and willing to find some important documents you stored on the USB device, suddenly the Windows informs an error message: USB device not recognized, the last USB device you connected to this computer malfunctioned, and Windows does not recognize it. We found that many users had such errors no matter on Windows 7/8/10 when they tried to connect the USB device with the computer, which means, USB does not show up on the computer and you cannot access the USB device at this moment. Although this problem is quite the head-scratcher, it doesn't mean we cannot fix it. The following are 7 fastest solutions that any Windows user can give a shot and try to get rid of the last USB device malfunctioned problems. Press WIN+X and then choose Device Manager >> Find the Universal Serial Bus controllers >> Right click on USB Root Hub >> Properties >> Power Management >> Check Allow this computer to turn off this device to save power >> Click Ok >> Plug the USB device again with the computer. Press WIN+X and then choose Device Manager >> Find the Universal Serial Bus controllers >> Right click on Generic USB hub >> Disable >> After that then click Enable >> Click Ok >> Plug the USB device again with the computer. Press WIN+X and then choose Device Manager >> Find the Universal Serial Bus controllers >> Right click on the USB device's driver >> Update Driver Software >> After update >> Click Ok >> Plug the USB device again with the computer. We've shown you the 7 fastest solutions to fix the last USB device malfunctioned errors, each one has been proved that is the effective method to fix the error, however, if the solutions didn't work to help you, you'd need the third-party free data recovery software to retrieve data for you on the USB device. 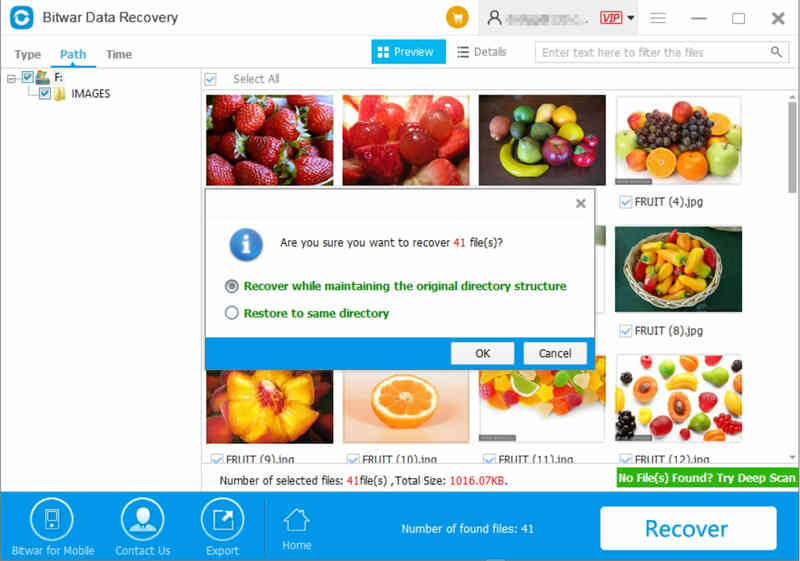 Here we recommend you the Bitwar Data Recovery Software, which is the best free data recovery tool that supports you to recover all types of files stored on the USB device, hard drive, external hard drive, etc. You can click below download button to free get the software and then install it on the computer, launch the software when it's ready. Then follow the below steps to recover data on the USB device. Step 1. Select the USB device and then click Next. Step 2. Choose all types of files and then click Scan. Step 3. Double click the file and then hit Recover button if necessary. The last USB device malfunctioned error isn't mean the end of the word, try to fix this error with the above-mentioned solutions, otherwise, you'll need the free data recovery software to help you recover the data on the USB device. Summary：The Bitwar Recovery is the best solution to fix the data loss of the request failed due to a fatal device hardware error. Summary：This article tells how to fix WD hard drive not recognized error and how to recover data from inaccessible WD hard drive by the Bitwar Recovery software. In this writing, we will talk about how to resolve Destination Folder Access Denied with some effective ways.